The 66-year-old's assistant, the former Manchester United midfielder Roy Keane, has also left his role. O'Neill guided the Republic to the last 16 at Euro 2016 but they failed to qualify for World Cup 2018 and finished bottom of Group B4 in the Nations League and were relegated to the third tier. They have won just one of their last 11 games and have drawn 0-0 with Northern Ireland and Denmark this month. O'Neill's side suffered an embarrassing 4-1 defeat to Wales in September and were also beaten 1-0 on home soil by Ryan Giggs' team last month. "I would like to thank Martin, Roy, and the management team for the impact that they had with the Ireland team," said FAI chief executive Delaney. "There have been many highlights during Martin's reign - none more so than Euro 2016 in France - which will live long in the memory of all Irish supporters." The Republic will be among the third seeds for Euro 2020 following their relegation to Nations League C.
O'Neill managed Wycombe Wanderers, Norwich City, Leicester City, Celtic, Aston Villa and Sunderland, 6/5 to be promoted from League One this season, before taking charge of the Republic in November 2013. 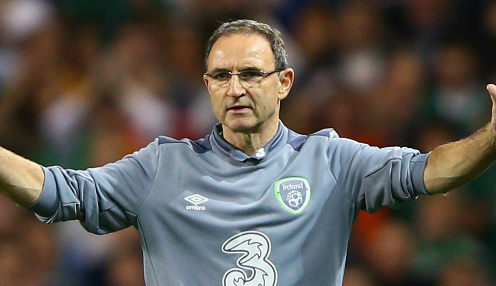 Denmark are 66/1 to win Euro 2020 while Republic of Ireland can be backed at 150/1.